The days when the sun is shining are the most beautiful so we must take advantage of them as much as we can. In order to look feminine, you can wear a pleated skirt. This classic model, created long time ago (in the 50s), came back within the trends of the last 5 years. We have to say that this type of skirt fits any silhouette. The pleated skirt adds a small volume to your outfit and this helps balancing the proportions of your body. 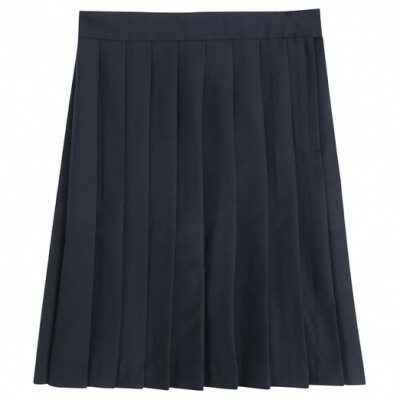 Such a skirt is very suited to girls with an A shape silhouette or with an androgynous silhouette. This type of skirt looks absolutely extraordinary combined with a sweater, but if you want to add a little style, you can wear it with a blazer. The pleated skirt looks excellent with a stiletto which will make you look stylish and elegant. This skirt is a vintage piece of outfit but it has an extremely special look that can easily transform your outfit into a remarkable one. Having in mind the versatility and elegance of this skirt, be bold and include it into your daily wardrobe.